The Olde Farm is one of the most highly acclaimed private golf clubs in the country, providing members not only world–class golf, but also a preeminent food and wine venue. The Olde Farm clubhouse is patterned after Castle Hill, an historic home built more than 200 years ago in Charlottesville, Virginia. The stately clubhouse welcomes all members who arrive on property and provides a homecoming filled with warm woods, rich textures, and gourmet dining. The clubhouse is located in the exact spot of the original home built on the property in the 1700's in a grove of oak trees. Two of these majestic trees continue to stand guard outside the clubhouse today. Members enjoy the clubhouse for entertaining social and business guests in a variety of dining and meeting areas. The clubhouse combines Southern charm and hospitality with modern amenities and facilities. Its rustic elegance and complete lack of distractions lend The Olde Farm its distinguished character and rural charm. Perhaps Golf Digest’s Ron Whitten said it best after naming The Olde Farm Best New Private Course of 2000: “The Olde Farm, Bobby Weed’s first Best New winning design, is old school yet representative of the future of golf.” Or as we like to say, pure golf at its best. The Olde Farm revenues total around $1.6M, 50% of revenue is derived from A La Carte dining (breakfast, lunch and dinner) and 1/4 of revenues from member hosted events (Examples: corporate, social, non-profits). 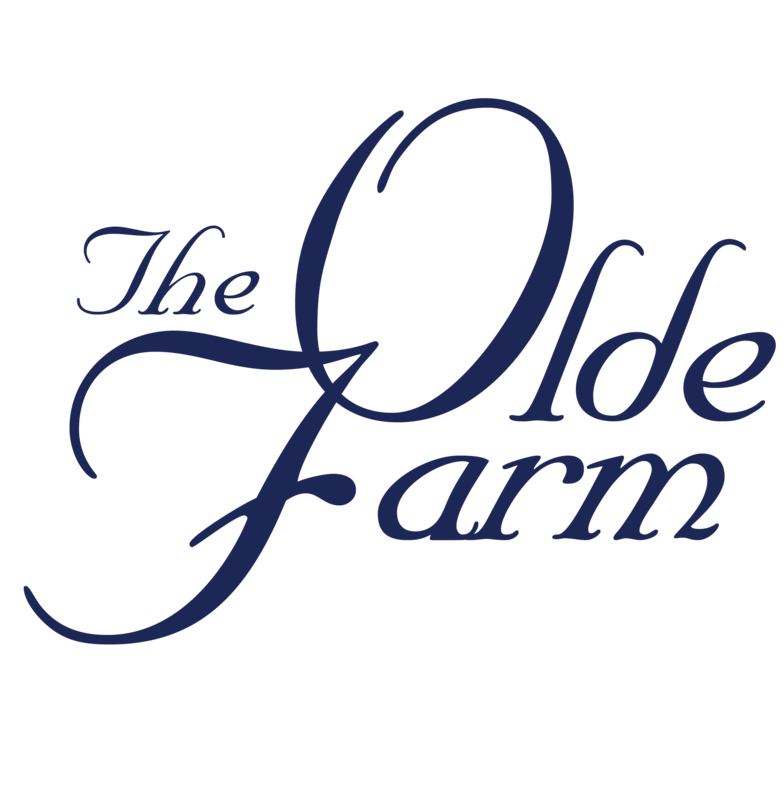 The member base at The Olde Farm consists of local and national members, 172 social members and 318 golf members. The property consists of multiple venues that often run concurrently with one another. These venues include the Clubhouse, Party Barn , Pavilion and The Lodge. The clubhouse hosts breakfast, lunch and dinner served Tuesday – Sunday during our regular season (April-November). The Party Barn is mostly utilized for member events, except in the winter (October-December) when A La Carte dinner service is served from this venue. The Pavilion is also mostly utilized for member events; however, periodically A La Carte dinner service is hosted at this venue throughout the summer. Each of the venues operates with a fully equipped kitchen. During the month of January, the club closes for remediation, organization and preparations for the upcoming year. In February-March the club reopens on a winter schedule that consists of A La Carte lunch being served Wednesday-Sunday and dinner on Friday and Saturday. The clubhouse is the central location for entertaining social and business guests in a variety of dining and meeting areas, which include: The Dining Room: Combing Southern charm and hospitality with farm-fresh gourmet indulgence; the club’s dining room is known as the ideal spot for breakfast, lunch, or dinner for up to 65 people. The Wine Cellar: Known for its tastings, chef’s tables, private dinners and intimate celebrations; our wine list comes alive in this distinctive, but intimate setting for up to 16 people. The Clubhouse Porch: Breath-taking views provide the backdrop for casual seasonal dining or a unique special event locale for up to 75 people. The Clubhouse Bar: Located adjacent to the dining room, the clubhouse bar is a favorite spot for scenic lunches for up to 20 people. The Board Room: Our professional meeting room presents the opportunity for meetings to evolve into working lunches. The board room offers comfortable seating for up to 12 people and access to state-of-the-art technology, including AV screen and wireless Internet access. The Party Barn is the focal point for parties, weddings, and banquet events, entertaining large groups with ease. It provides state-of-the-art technology, including a ten-foot AV screen and wireless Internet access. This beautiful venue features French doors that can be opened to let the breeze flow through during warm, spring afternoons or a toasty fireplace and patio fire pit for the cooler fall nights. The Party Barn offers the following: The Main Hall: The main hall is the perfect location for dinner dances, weddings and receptions, and corporate meetings and retreats for up to 150 people. The main hall is also equipped for a band or DJ to setup and let the party last throughout the night. The Barn Bar: The barn bar is a favorite spot to get a cocktail before dinner, relax by the fireplace, or host a casual retreat for up to 25 people. The Silo: The silo is an intimate, private dining experience like no other. Located at the top of the silo, with near 360° views of the property, the silo offers a board room type atmosphere for up to 16 people. The Pavilion boasts a grand capacity for open-air entertaining. The pavilion can comfortably seat 175 under the grand, timber roof or can be expanded to use the patio to seat 300+. In its entirety, the Pavilion provides a dining area large enough for any private party, offering the following: Open Air Grill: The Chef and his staff are sure to nourish and satisfy even the heartiest desire while preparing the feast right in front of you. Horseshoe-Shaped Bar: The Pavilion bar is the perfect place to relax after a round of golf, watch a football game on the big screen, or delight in a drink before dinner. Dance Floor: With ample space to celebrate the night away, the dance floor is conveniently located in the central part of the Pavilion. Fire Pit: With a natural gas fueled fire pit, no time is wasted while enjoying an evening of reminiscing with friends. AV: The Pavilion also offers state-of-the-art technology with Bose surround sound, a ten-foot HD projection screen, and the capability to simulcast picture slide-shows, DVD’s, PowerPoint, or TV broadcasting on multiple TV’s and the projection screen. The Lawn: The Pavilion Lawn is the perfect spot to host an outdoor wedding, with a full acre of level green space that can easily hold 500 seats in a traditional arrangement. The newest venue at The Olde Farm, The Lodge will be known as a versatile and unparalleled locale for events for years to come. Unique in its ability to both entertain grand gatherings and house overnight guests within the same facility, The Lodge is in convenient proximity to The Pavilion for tandem use. Constructed by J.A. Street & Associates and designed by Ewing, Noble & Winn Interiors, The Lodge features an impressive two-story glass atrium in the center with lodging quarters to each side. The expansive glass doors may be folded back to completely reveal the breathtaking views of the landscape. The center area includes an inviting common area and kitchen. Just outside toward the lawn, guests can relax in rocking chairs on the back porch. The well-appointed bedrooms have two queen-sized beds each, along with their own adjacent bathroom. The Lodge is ideal for hosting weddings, family reunions, corporate retreats or enjoying additional lodging capacity during tournament events. The Olde Farm constructed a greenhouse in 2012. The green house is located on the newly built Par-3 Orchard Course and cultivated by our onsite gardner. The greenhouse allows us to jump start our transplants to our garden when it’s too cool to plant outdoors. The greenhouse also allows us a harvest later in the season as well, increasing our production period. We focus on heirloom varieties which are hand-selected, rare varieties that you won’t find at your average neighborhood market. The gardens comprise approx. 2.5 acres, which include the many orchard trees located all throughout the golf course that provide us with plums, pears, apples, blackberries and grapes.